Expert organizations have united to create the first European database of valuable materials available for "urban mining" from scrap vehicles, spent batteries, waste electronic and electrical equipment, and mining wastes. The Urban Mine Platform, created by 17 partners in project ProSUM (Prospecting Secondary Raw Materials in the Urban Mine and Mining Wastes), presents the flows of precious and base metals and critical raw materials in products in use and throughout their journey to end of life. The database reveals the amount of valuable materials recovered or lost in the EU’s scrap vehicles, batteries, computers, phones, gadgets, appliances and other high tech products discarded annually – roughly 18 million tonnes in all — the weight of 3 million African elephants. 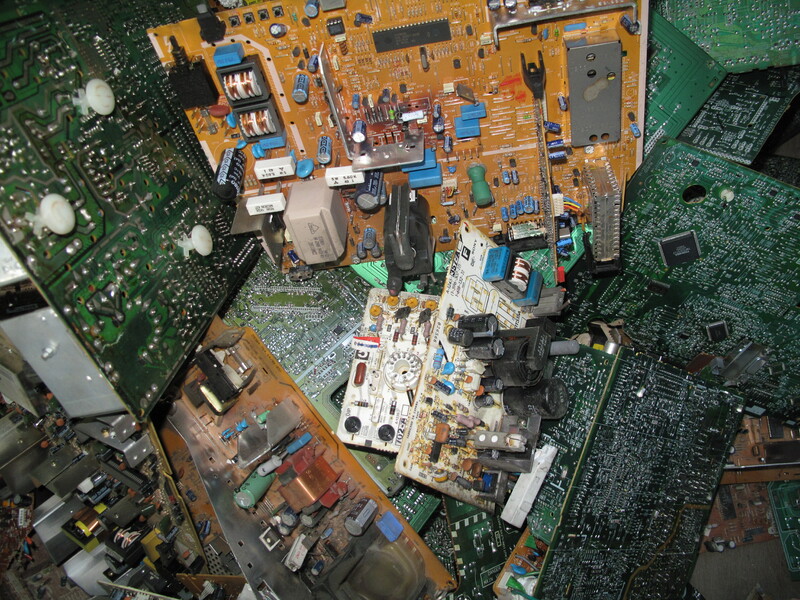 The EU, Norway and Switzerland generated around 10.5 million tonnes of waste electrical and electronic equipment (WEEE) in 2016 – about 23% of the world total. In addition, 2 million tonnes of batteries and some 7 to 8 million tonnes of EU vehicles reach their end-of-life annually. All represent a rich source of secondary critical raw materials. 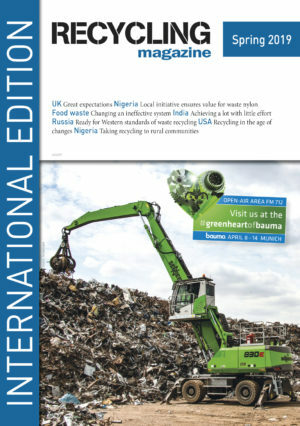 The recently published Global e-Waste Monitor reported that the world’s 44.7 metric tonnes of e-waste alone (not including vehicles) in 2016 contained €55 billion worth of precious metals and other high value materials. The Urban Mine Platform contains data for elements and materials in high abundance in these waste products, mainly base metals, precious metals, and critical raw materials (CRMs). Waste flows, including amounts collected, estimates for small batteries and EEE in unsorted municipal solid waste, exported used vehicles, as well as the amount of vehicles, batteries and EEE of unknown whereabouts. Each EU inhabitant, the report says, would own 250 kg of electronics — 3.5 times the average adult weight — in addition to 17 kg of batteries and almost 600 kg of vehicle. The report notes that a smartphone contains around 40 different critical raw materials, with a concentration of gold 25 to 30 times that of the richest primary gold ores. Furthermore, miningdiscarded high tech products produces 80% less carbon dioxide emissions per unit of gold compared with primary mining operations. The ProSUM project successfully harmonized all available information to map the very dynamic development of the Urban Mine over time. As illustrated in the figure, the entire stock of electronic products constitutes a considerable, and for some materials, rapidly changing Urban Mine for the years 2000 to 2020 (last 5 years projected). The figure displays for the first time the combined effect of rapidly increasing sales in numbers of electronic products, increasing miniaturization of printed circuit board volumes and products appearing (like tablets) and disappearing (like cathode ray tubes) from the market. These product trends affect the quantity of raw materials in the Urban Mine where, for example, plastics and aluminium content are increasing, copper and gold are stabilizing, and printed circuit board tonnages are in decline. With respect to batteries, the report points to a sharp jump in the European Union, Switzerland, Norway since year 2000, with 2.7 million tonnes expected to be put on the market in 2020, up from roughly 1.7 million tonnes in 2000. European authorities know the fate of only half of the estimated 2 million tonnes of batteries discarded in 2015, about 90% of them lead-based. Other types of batteries available for urban mining — nickel-metal hydride, zinc-based and lithium-based — are a significant source of lithium (7,800 tonnes), cobalt (21,000 tonnes) and manganese (114,000 tonnes). Europe’s end of life vehicles (ELV) represent a large source of secondary base metals like steel (213 million tonnes), aluminium (24 million tonnes) and copper (7.3 million tonnes), as well as platinum and palladium used in car catalysts. Increasingly, vehicles also contain large amounts of critical raw materials due to electronics, as well as alloying elements used in steel, aluminum and magnesium. Few electric vehicles have yet reached end of life. With sales rising, these will be a source of growing importance for secondary raw materials like neodymium, lithium and cobalt. The report notes that more than 40% of registered vehicles are “of unknown whereabouts” — a gap attributable in part to unreliable data on used vehicles traded within the EU, unreported recycling, and exports beyond the EU. The project is also amassing information about resources available in mining waste, which deposits are commonly very large but of low metal grade. New data, such as location, type of waste and origin available in a special extension of the database at Minerals4EU. Mining waste differs in many respects from the other product groups in ProSUM in that there is no EU legislation that requires recycling, there is no major recycling industry, and Eurostat statistics on mining waste are sparse and only at country level. Today the European Parliament voted to align the Renewable Energy Directive with the circular economy, by strengthening the criteria for the use of waste and residues for energy production. Next articleEriez Europe supplies an additional two Separators to Re-Gen Waste Ltd. In order to improve metal recovery Re-Gen tasked Eriez Europe with selecting magnetic separators suitable for the required metal recovery.